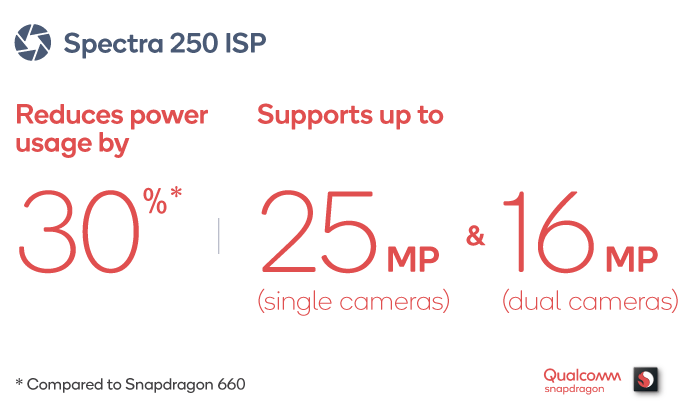 The smartphone chipmaker, Qualcomm today announces a new addition to the Snapdragon 600-series – meet the Snapdragon 670 – as a successor to the Qualcomm Snapdragon 660. The company recently announced a new chip in the family with the Snapdragon 632, a solid offering that brought some needed upgrades, but fell short of the Snapdragon 710 announced earlier this year, as well as last year’s Snapdragon 660. The newer chip got some significant bump spec-wise. Qualcomm AI engine, Qualcomm Kyro CPU, Qualcomm Spectra ISP, Snapdragon X12 LTE modem were the highlights while announcing the chip. The Snapdragon 670 is closer to the Snapdragon 710 in terms of specs which explains why there were reports it was relaunched as the SDM710. Like the Snapdragon 710, the Snapdragon 670 is a 10nm chipset. It even has the same Kryo 360 cores (eight) as the 710 but is clocked at 2.0GHz. Qualcomm states that we should expect up to 15% higher performance over the 660’s 4+4 Kryo 260 setup, which featured A73 and A53-based cores clocked up to 2.2GHz and 1.8GHz respectively. Moving on to graphics, we also see the 600 series receive a high-calibre GPU (Graphics Processing Unit) with the Adreno 615, which Qualcomm claims can offer 25% faster graphics rendering than the Adreno 512 found in the Snapdragon 660. For comparison, the Adreno 616 of the 710 promised a 35% uplift over that same GPU, so this new offering sits neatly in the middle. The Qualcomm Snapdragon 670 is capable of powering FHD+ displays, while the 710 offers the ability to scale up to QHD+ for higher-resolution panels. However, it has the same Hexagon 685 DSP and Spectra 250 ISP as the SD710. The SD670 supports up to a 25-megapixel single camera and 16-megapixel dual cameras. 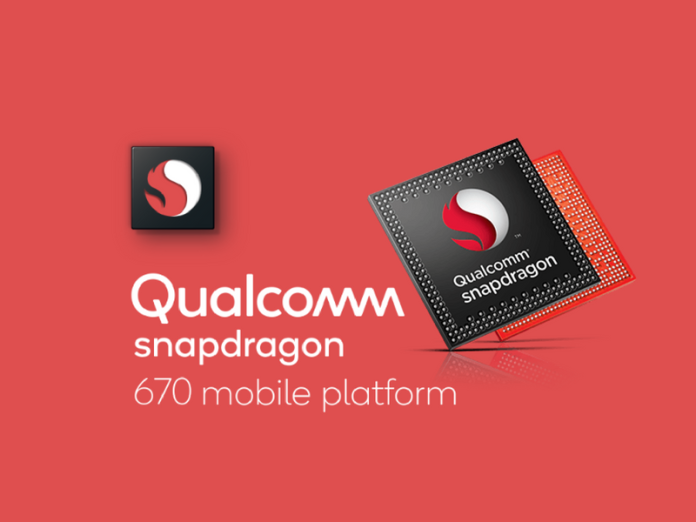 The Qualcomm Snapdragon 670 chipsets receive a brand new AI Engine to allow for better AI-driven features that were not available before in the Snapdragon 600-series. It’s capable of up to 1.8 times the AI performance of the Snapdragon 660. 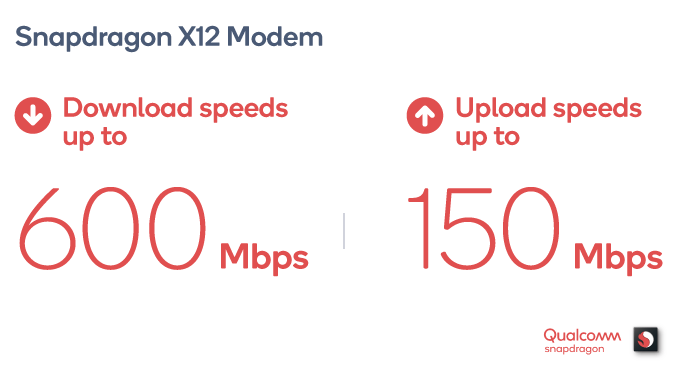 Qualcomm has also swapped the X15 LTE modem of the Qualcomm Snapdragon 710 for a slower X12 LTE modem. So maximum download speed is 600Mbps and maximum upload speed is 150Mbps. The Snapdragon 670 also supports Dual SIM Dual VoLTE and Quick Charge. The Qualcomm Snapdragon 670 mobile platform is available now, with commercial devices expected later this year.